The Industry Technology Facilitator (ITF) is welcoming additional participants to a new joint industry project (JIP) to develop pipeline anchoring and monitoring systems which could mitigate the risk of pipeline walking and cut pipeline anchor installation costs in half. The Anchoring Pipeline Technology (APT) JIP currently involves Shell. The initial phase of the project will run for eight months and will bring together major global operators and pipeline installation companies to collaborate with ITF and Crondall Energy, an independent oil and gas consultancy,. It aims to investigate alternative and less costly solutions and create a roadmap on how to manage and mitigate the pipe-walking challenge. “Because the evaluation of alternative, less costly, more elegant design solutions are generally beyond the timescale of a typical project, there has been little opportunity for optimisation or more considered evaluation of alternatives. The knowledge gained from the APT JIP will add significant value to a client’s ability to design and install efficient and safe pipeline anchoring systems,” adds Bruton. Pipe-walking, or axial ratcheting, has been observed on a number of pipelines and can cause integrity concerns, including very large global axial displacements of the pipeline. In some cases, this has resulted in tie-in connector failures or subsea intervention to mitigate or control high rates of walking. 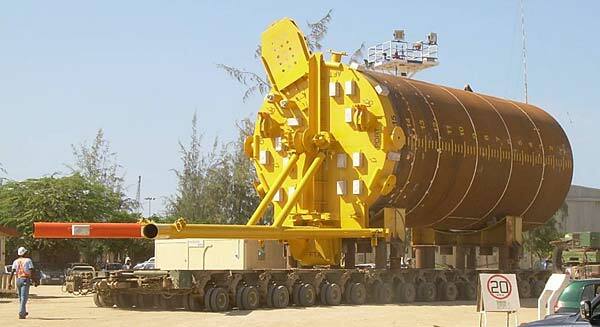 Large suction anchors, with a capacity of around 100 tonnes are typically installed at the end of the pipeline to control walking. In more recent projects, some long pipelines have required several anchors to be installed over the pipeline length. The potential overall saving from the deployment of optimised distributed-anchoring systems is expected to be up to 50% of a typical installed cost. For example, this could result in a cost saving of more than USD5m for a project planning to install several anchors on a single long pipeline. The study will complement existing research by using the extensive experience of JIP participants. It will provide design strategies to simplify the design process and present a roadmap for projects to manage and mitigate the walking challenge over the project cycle. This will include the development of a ‘wait and see’ approach based on effective monitoring of pipeline walking by applying mitigative measures only when and where they are required. Ben Foreman, Technology Team Lead with ITF, addes, “The APT JIP is focused on providing the necessary research to present viable and economical solutions to this problem and we aim to do this over a relatively short timeframe. The JIP team already demonstrates a great deal of expertise and knowledge in this subject matter and will work together to develop and test more effective, low-cost pipeline anchoring systems that are simpler to deploy, more cost-effective to install and able to be retrofitted. Crondall Energy will be exhibiting at the ITF Technology Showcase – Technology in Action at AECC on 1st March. Now in its fourth year, the event brings together some of the brightest minds from inside and outside of oil and gas to challenge current thinking and bring fresh focus on progressing new solutions. Applied Digital Technologies to Improve Operational Efficiency and Performance. Transformational manufacturing and new materials to reduce costs. Emerging Inspection and Condition Monitoring Technologies to Prevent Failure in Operation and Avoid Downtime.